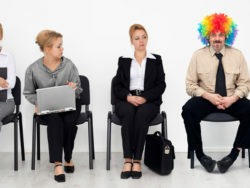 For no reason should you give any personal information, or hire the caller to help verify or claim your business listing. The Google listing phone call is not coming from Google. Google does not call about listings. Read on to get all the details about these scam calls, and how to actually verify and update your Google business listing. But one last time, please understand — if anyone ever says they are calling you from Google they are LYING. Sorry to harp on that point. Even when we explain this to clients, by the end of the talk they are asking what to do the next time their “Google rep” calls. And we have to say, yet again, that person is not working for or with Google. There will never be an emergency or an urgent problem with the way that search results show your business info. If you ever feel pressured when it comes to Google, it’s a sign that someone is trying to con you. With that out of the way, let’s go over all the details you need to know about the Google My Business options. Click any of the links below to jump to the most important topic for you right now. And don’t worry — this article is for small business owners. So there will be no confusing tech jargon. Just simple explanations so you can protect yourself and understand how the local search directory works. 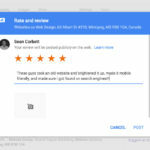 Google My Business: What Is The Cost To Add, Claim, or Verify A Listing? It could be a robocall asking you to press 1 to verify, or press 7 to be removed from a list (you won’t actually be removed). Or it could be an actual person who is “alerting” you that you are not showing up on Google, or that there is a problem with your listing. They might even say your listing is “scheduled for deletion” or “flagged for removal”. Finally, they could offer to sell you a “lifetime Google listing at a discount”. If you do not let them bamboozle you, and you ask some pressing questions, they will usually admit they are not Google, but may say they are “working with” Google. These calls happen so often, that the actual support team from Google had to release a public statement. Any pressure or scare tactics you hear over the phone are meant to confuse you into taking action before you think it through. First, don’t worry too much. These scammers are just trying to overcharge you for a simple service you could get for free, or that you could do yourself. So the worst thing that happened is you just over-paid for the “help”. You may even be on a monthly payment plan. If you try to cancel, the phone rep could try to scare you by saying that your site will drop out of the Google search, or some other bad thing will happen. The first thing you should do is to remove their access from your page. You may already be signed in on your computer. If not, you’ll need the email tied to your Google Account, as well as the password of your Google account. Once you have removed any control this scammer may have, you can stop paying them. If they have you on recurring billing and will not stop it, call your credit card company to explain the situation. To further protect you, it helps to know some terms. There is a title called “Google Partner”. This is a third party agency or marketer that took some basic online training and got a certification from Google. All it really means is that the agency / marketer has at least an entry-level understanding of how Google services work. It does not guarantee you (the small business owner) any results. So someone might call you and offer to help you show up higher in the search results for a specific phrase, or to run pay-per-click ads for you. They might let you know they are a Google Partner. As long as they don’t claim to be working with or for Google, or promising specific results, you can just weigh their offer versus the cost like any other service. We list some red flags for scammy SEO providers here. This list is updated each time a new scam happens. 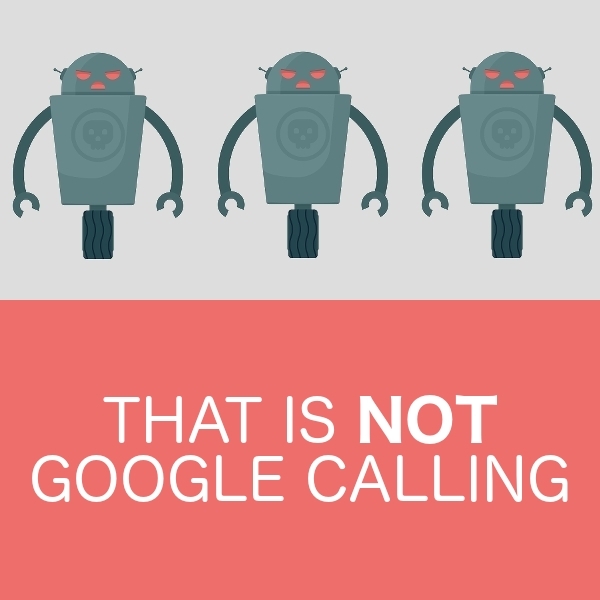 The robocalls we are discussing are under the heading “Google telemarketing calls”, but it is a good idea to be familiar with all the other scams out there right now. Lots of people ask us if they can make (Fake) Google stop calling. So is there an easy way to fight back, or at least report these scammers? It’s not really worth your time. Hanging up and ignoring them is the best option. Even when they give you the option to press a button to “be removed from the list”, they will still call back. Don’t press any buttons when prompted! But from our experience, after simply hanging up or telling them no a few times, they seem to move on. Of course, you can also block the number from calling you. However the scammers tend to use a bunch of different phone numbers all the time, so that doesn’t always work either. It costs nothing to make or modify a Google listing. It does take a little time and patience, and a bit of know-how. Some business owners would rather just pay a pro to take care of it, to save themselves the energy. Simply put, the Google My Business listing is an easy way to show up on search results, help people find you on a map, show all your contact details and hours, and feature your customer reviews. It’s very useful for mobile searches as well. That’s why we give FREE listing help to all our website clients. If you want to find out more, click here. Search for your business using its name and address. 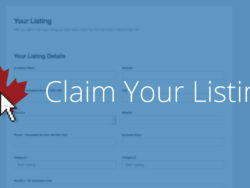 If your business is on the list, simply click it to continue. You’ll see the option to confirm that you’re authorized to manage the business. If you are, check the box, then click Continue. Read through all the info for your business to make sure it’s 100% accurate and correct. If your business listing is eligible, you’ll see the “Verify by phone” option when you request verification. If you don’t see this option, request to verify your listing by postcard instead. * notice how the only way to get Google to call you is by requesting it during this verification step!!! To verify your business listing by postcard, enter your business address in Google My Business. You’ll be sent a postcard with a verification code. Most postcards arrive within 12 days. Before you request to verify your listing by postcard, make sure that your business address complies with the address entry guidelines. On the postcard request screen, make sure that your ￼address is displayed accurately. If it isn’t, edit the address before you request your postcard. You can also add an Optional contact name to help your postcard reach you. Check the mail for your postcard. Most postcards arrive within 12 days. Don’t edit your business name, address, or category, or request a new code while you’re waiting—this may delay the verification process. 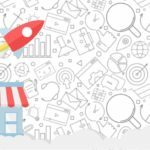 Once you have a listing, check out this article for some great ideas on how to optimize Google My Business. Now you know about the Google Listing Call Scam. Please be a responsible member of your local business community, and tell other small companies about it. Share this article on your Facebook or Twitter accounts, or email a link to friends that also run a business. You could save them some money, and a whole bunch of stress and worry. Think about it — it’s impossible to follow every change in technology, especially when you are so busy. We just need to help each other and to follow clear and honest business practices. Then everybody wins. Except the scammers… but, really, maybe even them, too. They’ll be forced to get a real job. Still have questions about Google Listings? We can help. Book a free 10 minute consult call about your web presence right now. These instructions do not work. They still call repeatedly. Hi Oralee — like we wrote in the article, the scammers can always just call you back. The main issue a lot of people were having is that they were tricked by the scammers, so that is why we wrote this article. To warn people not to buy anything from the callers. Your best bet is to hang up and then block the number. Even then, they could just call back from another number. I have a lot of spare time and enjoy asking questions like; about how google works, were they are call form and why the caller ID numbers is different. My spouse and kids tell me to just hang up but that is not as fun. We get daily robo calls from company’s claiming to work with Google. They tell us our business is closed. We’ve spoke with them and they said they will continue to call us. They call us several times a day. The caller ID shows V21207552101122 which looks like a credit card number. I did further search and it showed a phone number 816-209-1045 which would be around Kansas City, Mo. It seems that because we are a business are hands are tied. This is getting old. All the reject numbers I have on our company phone are Google fraud numbers. I can only claim up to 11 numbers. What are we suppose to do?? That sounds very frustrating. Unfortunately, you will most likely have to keep ignoring them until they just give up and move on. Or talk to your telephone provider about allowing more blocked numbers. This is extremely annoying. I have repeatedly asked to be removed from there list of some auto bot name “Mackenzie” warning us about our google listing. They hang-up every time I ask to be removed. A new person answers every time. If only it was the same person so I can annoy them as much as they are annoying us. It’s probably a number that sends to a randomized call center, so no chance of being able to ever reach the same person. I hang up on these calls at LEAST 20 times per day. Not joking… Some I answer to say take me off the call list. They insist on the business owner or they hang up when I say you have me. Today I had the person say that there is a fee to take me off the call list. How frustrating in a busy day to continually answer a business line just to hang up! I had Sanjay call 3 times in a row in a 20 minute period even after each time I asked him to remove my number from the list…that just caused him to hang up but then he has called back. So frustrating— and I can’t not answer the phone since it’s my job and no number comes up which isn’t unusual. Sanjay, if you are reading this- get into a different line of work!